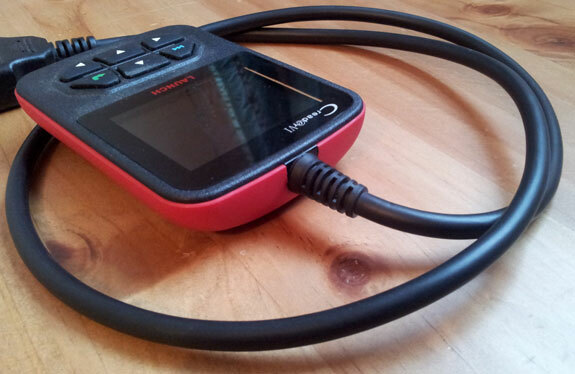 The Launch CReader 6 is an EOBD/OBDII car diagnostic tool aimed at the car enthusiast/home mechanic who wants the ability to diagnose engine sensor related issues with increased ease, accuracy and reliability compared to using multi-meters and other such methods. Costing approximately £132 (as of Jan 2013) the C Reader 6 is priced at the higher end of the OBDII scan tool market but you do get a lot more for your money and we feel the extra cost is justified. Free access to Launch's update service is included in the price so as they update the firmware and what-not you can stay up to date. How often they do this and whether the updates offer worthwhile benefits is yet to be seen. In a nutshell - by communicating with your vehicles ECU via the OBDII port the CReader VI gives you access to data from the various engine sensors so you can see if they are malfunctioning. As we will demonstrate in the video review at the bottom of this page this engine sensor data can be viewed in a couple of ways - as a simple table with numbers or (more excitingly) in a graph. This is perhaps the most exciting feature of the CReader 6 - when in 'graph mode' you can display up to four data streams simultaneously which is pretty cool and very useful for seeing how a sensor is performing over time, rather than just seeing what it is doing at that very moment like in 'table mode'. Like all OBD car diagnostic tools the CReader 6 gives you the ability to read and clear engine fault codes (turning off that pesky check engine light in the dash). The ability to record and save sensor data for playback at a later date is also very interesting and would be great for catching intermittent faults. Without it, seeing what the sensors are doing when driving the vehicle is going to be a bit tricky if you are on your lonesome. Another feature of the CReader VI is the freeze frame data area which gives you an idea of what the sensors were doing at the time a fault code was generated. Hands on review and video review below. The CReader 6 comes with a USB cable for updating and registering the unit as well as an instruction manual. Initial impressions of the build quality and durability of the tool are good, the case is constructed with a hard wearing plastic for the front face and a slightly softer type of plastic for the rear. It is quite light and although you might normally think light is bad I think it can be a good thing in terms of durability, for instance the Samsung Galaxy SII normally fairs a lot better when dropped than the much heavier iPhone 4S due to the inflexible nature of the materials which give it that high quality feel. The buttons are made from soft rubber which require quite a lot of movement to register which can get a little annoying after a while. 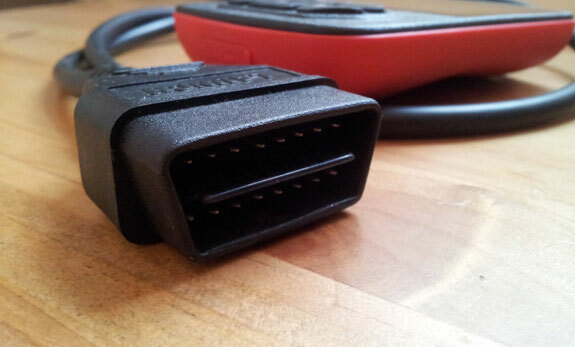 The OBDII cable is 90cm long which should be plenty long enough to have the scan tool sit on your lap whilst connected to most vehicles. The join where the cable joins the CReader 6 seems to be sturdy and is reinforced with some extra rubber round the sides of the cable. The colour screen is bright, clear and easy to read with the only negative point being that it is highly reflective which can make use in direct sunlight awkward. Saying that, because this tool is used inside a car finding some shade is not normally an issue. Upon plugging in the OBDII cable and turning on the vehicle's ignition the CReader will automatically power on and you will see the start-up menu with several options including diagnostic trouble code look up and tool set-up options. 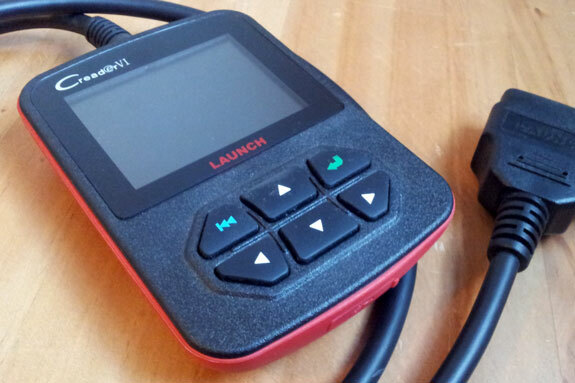 Once you initialise the tool it will begin to connect to the ECU which takes approximately 12 seconds. Once the tool is connected you are presented with a list of functions including read fault codes, clear fault codes, check I/M readiness, view freeze frame data, view sensor data streams and more. I will not go into much detail about all of these features but I recommend you see the data streams in action in the video review below. I found the CReader 6 is easy to use due to the number of buttons on the device - I didn't find any strange double functions for any of the buttons depending on which screen you are on. Up is up, down is down etc, the green arrow on the right serves as 'Go' or 'Accept' and the blue back arrow on the left takes you back to the previous screen - very simple. To test out the fault code reading abilities of the scan tool I unplugged the MAF sensor on the test vehicle and started the engine to artificially create a diagnostic trouble code or DTC as they are known. The test was successful and the CReader 6 identified the MAF related fault code correctly. I was pleasantly surprised to find the CReader not only found the fault code e.g. P0100 but also gave a short description of the code e.g "Mass or Volume Air Flow A Circuit" which makes life easier. I then went back to the previous menu and cleared the fault code successfully. This whole process took about 60 seconds so very quick. The coolest feature on the CReader 6, and what really sets it apart from the cheaper OBD2 scan tools, is the live data streaming in graph mode. In this mode you can select up to four engine sensors and have the live data display simultaneously on a graph which updates twice every second. For the test we selected at engine RPM and engine coolant temperature. As well as seeing the data from these two sensors in a continually refreshing graph, the live values are displayed below the graph as well as minimum and maximum recorded values. Each data stream is given a different colour to make the lines on the graph easily distinguishable. In our tests we found the graphing easy to understand and the ability to view sensor data over a period of time rather than just what it is doing at that exact moment is very useful. Furthermore being able to see how multiple sensors are behaving simultaneously is also a big benefit. As a little note the machine is set as default to display temperature in degree F but this can be changed in the setup options to degree C.
For an OBD tool aimed at the home mechanic the ability to have all of this data on one screen is very impressive - if there was one criticism it would be that, due to the size of the screen, the graph can be quite hard to read if you have more than two data streams active simultaneously. However, for the price of this tool it would be unfair to expect too much. If you are looking for a large amount of functionality and in-depth diagnostic capability then this probably isn't the tool for you. However, the CReader 6 has enough features to be of significant use to the keen home mechanic and could certainly save a trip to the garage for many essential tasks such as turning off engine management lights and diagnosing basic ECU sensor issues. With many garages now charging £50+ an hour you can see how this tool could pay for itself pretty quickly. 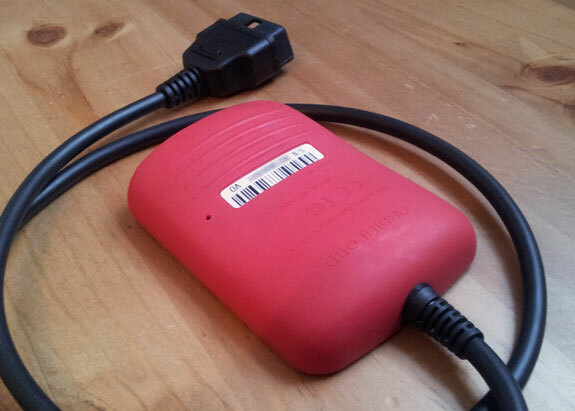 For the price you pay we think the CReader VI offers very good value compared to other OBDII scan tools on the market. A quick search on eBay will discover tools which cost up to £200 with weaker specifications e.g. no colour screen or live data graphing. From what I have heard Launch have a good reputation in the garage trade for their dealership level diagnostic tools so I hope this transpires into the home user end of the market. Do you have a CReader 6 or are you thinking of buying one? Like or really dislike the review? Please add your comments below there is no registration needed. I'm glad to know in your site. It's maybe helpful for an OBD tool aimed at the home mechanic the ability to have all of this data on one screen is very impressive - if there was one criticism it would be that, due to the size of the screen, the graph can be quite hard to read if you have more than two data streams active simultaneously. That's all looking amazing and i like the in your blog for launch creader 6 obd tool.